Welcome to Access Chiropractic and Wellness. This is our new clinic and is located behind or north of the Superstore off the Queen Elizabeth Highway (Highway 2) taking the third exit going North out of Calgary or the first exit going South from Red Deer (exit is Veterans' Boulevard). It is located immediately behind Superstore, Wanderwash, and Dr. Bell's dental clinic, and across from the three story Aqua apartment complex. There is plenty of available parking in both the parking lot and on the street. 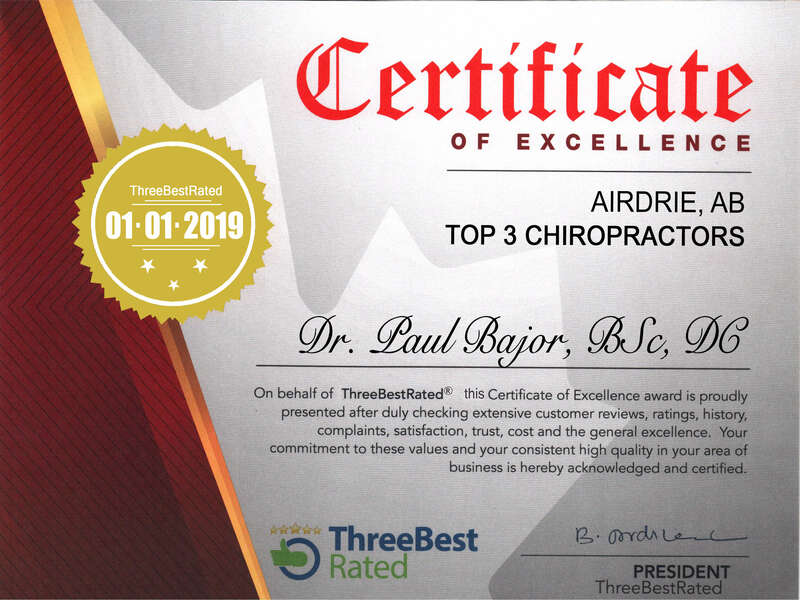 Our original clinic location was in the Airdrie CO-OP and had existed there since 2004, however as of October 1, 2018, both clinic locations are now in one! All bookings are done by appointment only. Dr. Manuel books her own appointments either by email (liona.manuel@m2hnc.ca) or by calling her at 587-280-9888. Please visit her website at www.m2hnc.ca.